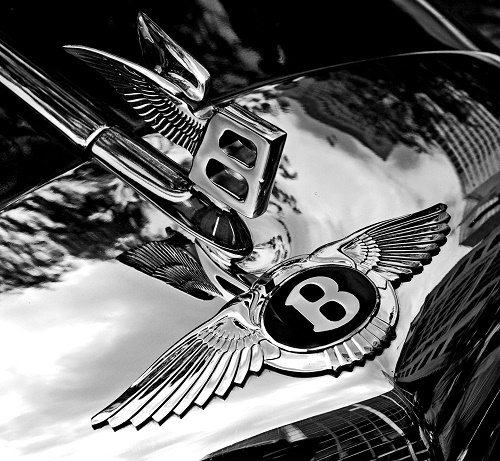 Bentley, when you hear the name, you just can’t help but think of exquisite luxury, craftsmanship and utter elegance. It is a brand known for working with the most desirable of materials. They have always been passionate about working with leather and wood, authentic and elegant materials that reflect the luxury. This passion is transmitted through to the fragrances–which they started to sell in 2013–where the materials became inspirations and ingredients for their perfumes, think leather, woods, etc. It is a passion they also transmitted by putting references to their cars’ designs in the fragrance collections. The designs of all the flasks of the five already released fragrances are inspired by the curves and materials used for Bentley Motors and feature two Bentley icons the knurling on the stopper and the “flying B” on its top. Going at Bentley is a whole new experience, no matter if it is for a car or a fragrance; elegance and luxury are everywhere with them. The next step for this iconic company is an exciting, new, high-end, super-luxury collection, another reflection of the brand’s history and elegance. This collection includes three precious fragrances made with the finest materials called Bentley Beyond, created this year as their first unisex collection. They are a celebration of travel, since each fragrance is blended to lead you into a new journey in a paradisiac place, but it is also as a tribute to Bentley Motor’s founder, Walter Owen Bentley, who created the company 100 years ago. Walter Owen Bentley (also called W.O.) fell in love with voyages when he was 14, during a bike trip from London to Norfolk, which was done in a single day. This love for travels led him to create Bentley Motors Limited with his brother in 1919. 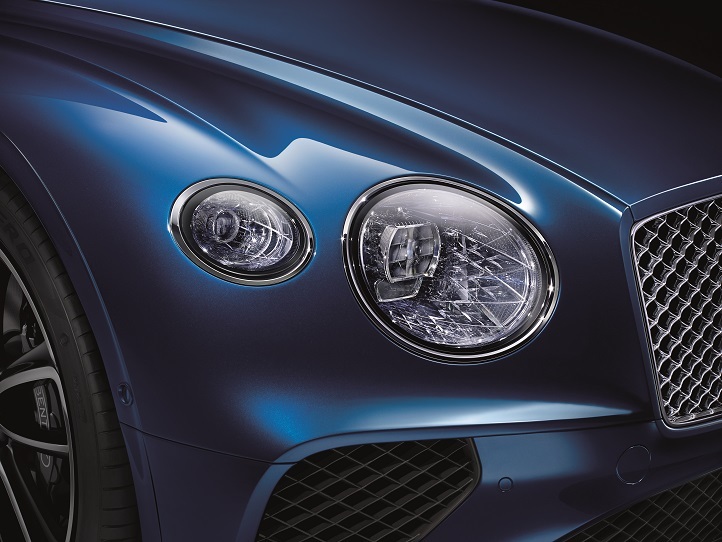 Since its creation, Bentley Motors always challenged themselves to produce the best quality cars possible and develop a very personal relationship with their customers. Buying a car from Bentley Motors is like having a whole new experience: the car belongs to its owner, is something highlighted by the ability to customize the car’s interior. This is not unlike the relationship people have with a treasured fragrance. Choosing one that fits with one’s own sense and feelings. “The joy derived from a voyage of discovery is one of man’s fundamental longings,” Walter Owen Bentley said. The first fragrance of the collection, Wild Vetiver is an odyssey to the volcanic island of Java in Indonesia and was created with nose Sidonie Lancesseur. The vetiver used at the heart of this lovely aromatic fragrance comes from Java, so just a sniff of it will make you feel as you are there. The fruity and sweet bergamot and the pepper as top notes bring freshness and a spicy note. At the heart of the fragrance, vetiver has been reinforced with green verbena for a fresh and slightly acid scent. The base notes, have birch and a leather note so loved by Bentley that gives a real character to the fragrance, whilst amber wood brings a woody and softly smokey scent. With Wild Vetiver, all the aspects of Java are represented, from its rainforest to the volcanic mountains, a quick smell of it an odyssey through the entire island. The exquisite, soft light green hue of the juice in the flask reinforces it even more. A note worth sharing, the vetiver used has a natural, smokey edge that just brings a whole other understated elegance to this marvelous fragrance. Exotic Musk, the second fragrance, is a trip to Acapulco in Mexico. The delicate blue flask contains the smell of the Pacific ocean and the paradisiac bay of Acapulco. As top notes, Bentley used orris, bringing a delicate powdery and woody scent, and ambery woods, so you can feel like you are having a walk through the trees along the side of a beach. The heart notes are orcanox with its warm and ambery smell, just like the warm sand, along with ambranone, and tonka bean. For the base notes, the musk with its sensual and animal smell whilst the white woods are a reminder of Acapulco nights. A simple spritz of Exotic Musk will immediately make you feel like you are on a holiday at the beach sipping a nice cocktail, enjoying Mexico’s sun. This fragrance has been created in collaboration with French perfumer Mathilde Bijaoui, who has created this bottle of luxury without having even stepped on a beach in Acapulco. 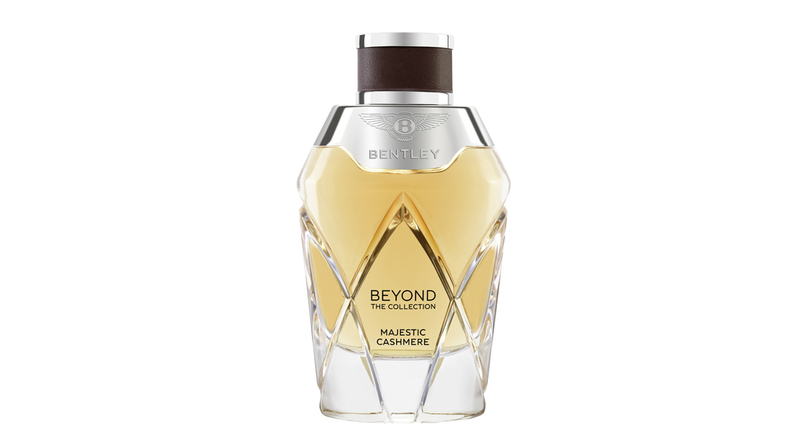 The third fragrance within Bentley Beyond is Majestic Cashmere, a voyage to Goa in India. Julie Massé, the perfumer, used ingredients from all over the world to fabricate this fragrance. Precious incense, fresh coriander (a reminder of the great Indian cuisine), and ambrette absolute as top notes are giving an herbal and spicy side to the perfume. Orris absolute, cashmere woods and tonka bean as heart notes give it a really sensual and oriental side. Finally, the base notes are vetiver bourbon, orcanox, labdanum resinoid, musk, and patchouli, which are often seen as Bohemians scents (Goa is known as a Bohemian holiday destination). Everything in this spicy and oriental perfume was made to bring you near the Arabian Sea: you feel the warmth and deep wood of this destination. Sweet to intense, spice mixes with warm woods and deep earth, all rooted in Goa. As Bentley work with the Lalique group (known worldwide for its luxury glass), the flasks of Bentley Beyond are a real piece of art in themselves. Like a piece of precious jewellery, these flacons add another facet of luxury to the collection. To hold a bottle is to hold the most beautiful cut-glass, crystal tumbler where you may well be drinking a deep vintage single malt. In addition to this beauty and elegance, the flasks are actually inspired by and a reflection of the cut-crystal glass headlights of the Continental GT. Bentley here has created a whole new universe where roots and imagination work closely together with luxury. These three fragrances are definitely an invitation to travel, to be led by your senses and emotions in order to discover the wonders our world has to offer.